Q: How did you come up to the idea for loveit coverit? A: Insurance is all about covering what’s important to you and reducing risk. However, insurance can often seem dry and impersonal, so our founders set about to change that perception. We believe that if you love an item, you should protect it – and that’s how loveit coverit was born. Q: What type of customer would benefit the most from your service? A: Whether you use your phone for personal or professional reasons, loveit coverit is ideal for anyone who wants to protect their device from accidental damage, mechanical breakdown, theft, loss and more. We know how inconvenient it can be when you’re without your device, which is why our service will insure mobile phones against the most common accidents and incidents, without leaving customers out of pocket. Our customers can choose from three levels of cover to suit their requirements, and save even more with our multi-device discount – perfect for families or individuals with business devices. Q: You’ve recently reduced excess fees for May and June; could you tell us something more? A: Many of our competitors have low policy premiums, but surprise their customers with high excess fees when it comes to making a claim. 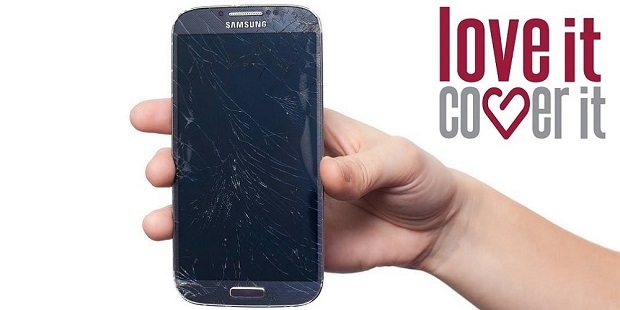 We’re committed to helping customers save money on their mobile phone insurance, which is why we’re offering reduced excesses for all accidental damage and breakdown claims. We pride ourselves on keeping our policies transparent and jargon-free, so customers know exactly what they’re paying for. Q: Why is it so important to have smartphone insurance? A: These days, we can’t live without our mobile phones. We use them to handle emails, check our social media feeds, take photos, pay for things, and so much more. So, if something happens to your device, it’s a huge inconvenience. With some high-end smartphones costing up to £1,000, repairing or replacing your device can leave a large dent in your budget. Smartphone insurance was created to alleviate customers’ worries by protecting your investment for a nominal monthly fee. In return, you’re covered against incidents such as theft, loss, mechanical breakdowns, cracked screens, and airtime abuse, just to name a few. As the cost of repairing or replacing your mobile phone rises, smartphone insurance offers comprehensive protection for your device, a fraction of the price. A: loveit coverit has insured over 900,000 devices across 30 years, but we are always looking to improve the customer’s experience. As a result of our hard work and dedication to providing an exceptional service, we were recently presented with Feefo’s Trusted Service Award for the second year running. This award is a symbol of trust, recognising businesses who receive consistently high service ratings throughout the year. We’re also proud to have an TrustScore of 8/10 on Trustpilot, based on 211 independent reviews.